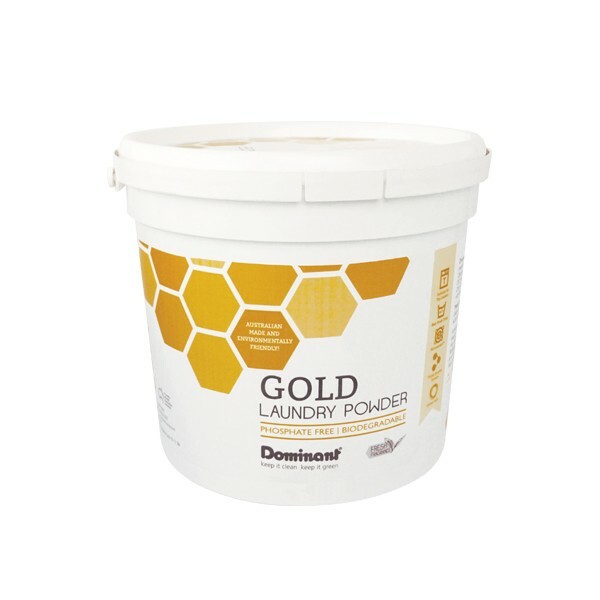 Suitable for Top Loaders, Gold Laundry Powder is powerful in the wash yet gentle on clothing. 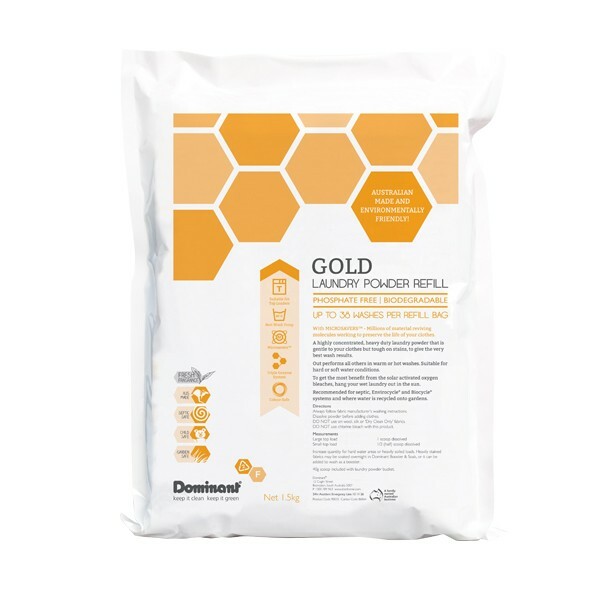 **This product is currently out of stock, will be available in store 4/05/2019** Different from most fabric softeners, Dominant Fabric Softener & Brightener is silicone free and will not clog your washing machine. A brilliant stain remover for both greasy and protein stains. Liquid Pre-Wash is based on natural orange oil leaving your washing smelling of fresh oranges. Yum! I have been using this product for many years now and it even got out a curry stain out on a linen dress, all I did was pre soak for a full day (didn't have Booster as I was at camp) so this was hand washed, and the sun did the rest because of the solar activated additives...very happy user. I also got the red centre red dirt out of my white socks with no soaking. 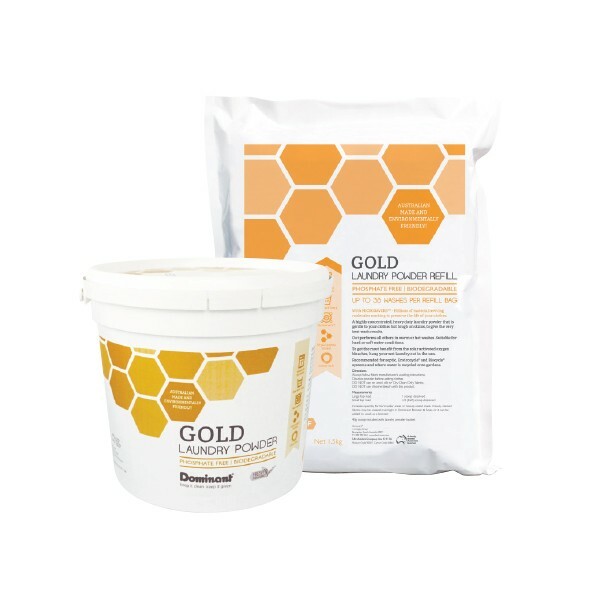 I love the Gold Laundry Powder. It never lets me down. I wont use anything else. Best of all, my washing machine never fills with slim like the other powders used to do. I will never buy anything other than Dominant. I've been using Dominant since the 1990s and I still use this product. I've compared this with all the other products on the market and always return to the best. I highly recommend this product.